Using social media for marketing is a smart choice. Social media is free, ubiquitous and reaches many people at once. However, with what seems like a new social network popping up each and every day, how do you know which networks are worth marketing on and which are a waste of time? Read on for some helpful criteria when considering how to choose the right social network for marketing based on your needs. Before you find out the demographics of the audience of a social network, you first need to think about the demographics of the people you are selling to. Are your potential customers teenagers? Young professionals? Or maybe retirees? You can find out by doing a quick survey of who you are already doing business with–no need to ask, just go with what information you already know–or by identifying who the ideal person is for your product. Now that you have that information, check it against the demographics for specific social networks. Some searches online can identify that Twitter tends to have a younger demographic than Facebook, whereas LinkedIn is for more business-minded people. You can find case studies and information of the demographics of many social networks online, but also remember there are exceptions to the rule and some audiences aren’t what you think. Increasingly across many social networks, the fastest growing user population is baby boomers, not the first group you might think of when it comes to social media. In short, identify your customer base and then find the social network that matches up with them. Different social networks rely on media in different ways. Facebook posts are easy to skip over when there’s no image, Twitter posts can go far with just text and Instagram posts rely on image only. Consider what media you have to share when choosing a network. If you have lots of imagery, consider Facebook or Instagram. If you don’t have images or don’t have the time to find them, Twitter may be a better fit. 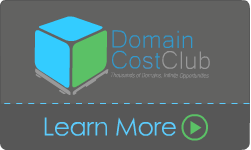 Love marketing with video? Sounds like YouTube may be the best place for you. How much time do you have for social media marketing and how frequently can you post? Consider this before you a choose a network. Twitter streams and updates move so fast that if someone visits your profile and sees you haven’t tweeted in a week, they may think you’re not using your account very much and are unresponsive. However, weekly posts on Facebook may be just the right amount. YouTube is a great network if you can only post monthly, because a high quality video monthly is better than a poorly edited one more frequently. Also networks with the ability subscribe to channels, like YouTube, put less pressure to update frequently. With subscription, no matter how often you update, your followers will be notified. Social networks like Instagram and YouTube can require some special skills, like video editing and photography. Facebook, Twitter and LinkedIn are open to a variety of skill levels and allow for easy access. Consider what skills you have and what you might need to be successful on a network before joining. Once you make a presence on a network and have a following, you want to keep your content consistent and of quality, so make sure you choose the right network(s) for you audience, media, time and skill level. 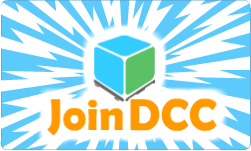 Ready to Become a DCC Affiliate? Click Below to Learn More!